How many of us have heard of poet and suffragist Louisa Lawson? I’m guessing not nearly as many as the number of Australians who know a great deal about her famous author/poet son Henry Lawson. Truth is, many great Australian women like Louisa have gone largely unrecognised. Their voices and contributions diminished because they are not celebrated in popular culture. 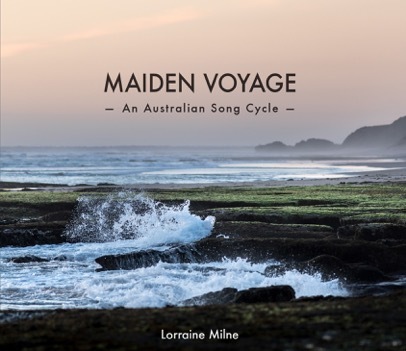 Australian musician and feminist Lorraine Milne is using her voice to put an end to that. Lorraine why do you think these women haven’t been celebrated to the extent they deserve? Lorraine Milne: In the 17th, 18th, 19th century women were not valued they were deemed to be lesser creatures you know? It’s the old story about Shakespeare’s sister, where is she? No doubt women had the ability to write and do incredible things but it’s a male-dominated society and I think it’s about power. Women who stand up to be counted scare the pants off blokes. I think they are afraid of us. We are not just sexual objects for your gratification who will pick up the socks afterwards. Women have always wanted to grab the creative right in all manner of ways. What compelled you to research these pioneering Australian women? Lorraine Milne: I fell across Suzanna de Vries book, ‘Great Australian Women,’ there were two women who absolutely captured me. One was Mary Penfold who is my absolute favourite and the other was Mary McConnel, we’re talking the early days of the free settlers. These two did amazing things and blew me away. I read as many books as I could including Anne Summers, ‘Damned Whores and God’s Police’ and of course that is the classic work on the role of women in Australian society. I found a biography about Louisa Lawson, she is such an extraordinary woman we all know Henry (Henry Lawson, Australian literary figure) but we don’t know mum and mum was amazing, her fight for Suffrage was really important. She was a writer and a poet and the things she did to support those children was amazing. So what I’m doing is I’m tracking white history from convicts, to free settlers to currently born. And then I read Audrey Oldfield’s, Woman Suffrage in Australia – it’s a hoot! She quotes all these politicians of the day and the arguments they put up as to why women should not get the vote, these guys are hilarious! From that I wrote the song, ‘Woman in the House.’ A spoken song, quite different to the rest of the songs in the cycle, the lyrics are informed by what these men said. Her brain is not the same as any man’s. Simply cannot call himself a man. Her mission is the welfare of her spouse. Giving votes to women – well, it simply isn’t right! Do you really want a woman in the House?. (sung)Or issues of the colony or how to legislate. We’ll end up with a woman in the House. For men have got the know-how and the nous. (sung) We cannot have a woman in the House. What characteristics do you think these women share? Lorraine Milne: Oh, I think they share an enormous resilience and strength. For instance Mary McConnel landed out here in 1848 in Moreton Bay, her husband opened the first big cattle station up river from Brisbane. They had to sail up river from Brisbane which she described as, “A dismal waterway.” One of the issues of that time is child mortality and Mary had sadly lost two babies of her own. It drove her to action and she became the leading figure in fundraising for the Hospital for Sick Children in Brisbane in 1878. They opened this hospital in an old covered house, there’s a Mary McConnel ward in that hospital and she remained a patron of the hospital right through and was very active all her life. Against the odds, she’d come out from Scotland from this educated genteel life, to this wild place which would have been Australia and knew what had to be done. Tell us about Mary Penfold,who you believe is the mother of Australian wine? Lorraine Milne: Oh, you ready for this? Mary married when she was fifteen-years-old, he was a doctor and it would seem that there was some problem about money matters. They took sail and landed in Adelaide in 1844, with there four-year-old daughter Georgina and Mary’s companion. They purchased a property with a bluestone cottage called ‘Grange Cottage’ Christopher Penfold was on horseback and is welcomed with open arms into this country. While he was doing that, Mary and her companion Ellen are establishing a homestead and farm and planting. In their goods and chattels they bring with them vine cuttings from France. Mary kept a day diary and there was an entry where she spoke about making wine. It’s always Dr Lindeman and Dr Penfold who pioneered Australia’s wine industry, why can’t they look at fact and acknowledge Mary? We would love to see Mary’s face on the Grange bottles. 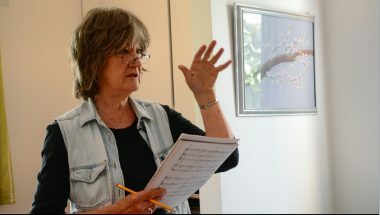 Now even the incredible Australian feminist and writer Anne Summers became quite emotional after hearing your CD? Lorraine Milne: One thing I have learnt as I get older Martine is just to ask. She was absolutely wonderful and attended the launch of Maiden Voyage. 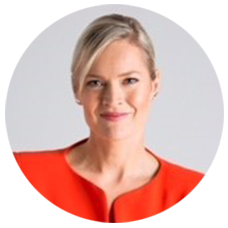 If you would like to hear any woman from the Engaging Women Interview Library speak at your workplace or event contact us: info@engagingwomen.com.au with your request. Check out the National Library of Australia’s Trove to read more about Louisa Lawson and search other incredible women by tapping on this link.